Use Nikon's flagship D3 freely even underwater. 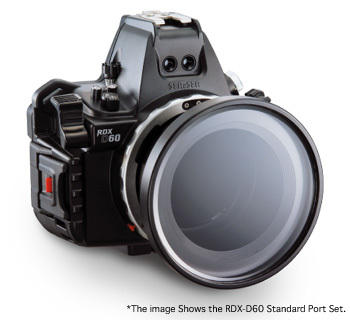 An exceptional item that is sure to become the standard for pro digital SLR housings. 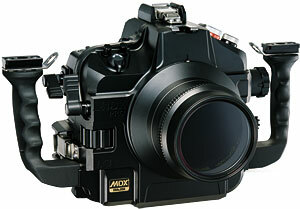 RDX Housing for the Nikon D60, the core of the new polycarbonate series. Small & light body. 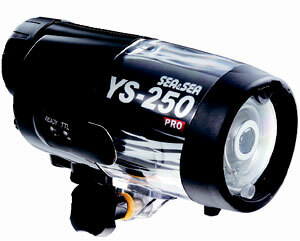 Recommended for all underwater digital photographers, even beginners. * High definition CCD – 1/1.72-inch primary color CCD with 12.19 effective megapixels (maximum number of recording pixels 12.43 megapixels) and 3x optical zoom lens (35–102 mm). 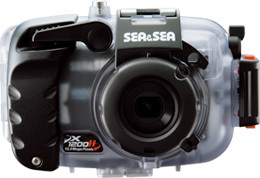 * Features SEA&SEA mode, a still image mode for optimal underwater photography. * Several White Balance settings available (Auto, Daylight, Cloudy, Fluorescent, Tungsten, Sunset, Custom) to suit any particular scene. * Exposure compensation function (±2EV in 0.5EV steps). * ISO speed can be set up to ISO 3200. * Movie function up to 1280×720 pixels (HD Video) at 30 frames/second (30 fps). * 16MB built-in memory. Can record on SD / MMC / SDHC memory cards (up to 8GB). * Specially designed lithium-ion battery and battery charger included. * When you turn the retractable cable socket lever, the fiber-optic cable socket slides and is aligned with position of the built-in flash and fixed. * Flash Light Diffuser function – Effective diffuser that softly diffuses the light of the built-in flash. * Strong and durable build, with a depth rating of up to 45m / 150ft. 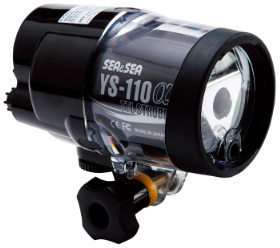 *Total weight of the Sea Arm Light Single Set: 330g / 11.6oz. Sea Arm VII Set and more accessories. 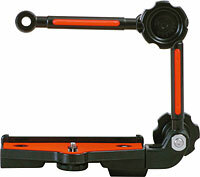 This multiple-type arm stay set has been updated to allow greater tightening force. Plastic resin construction prevents electric corrosion and makes it more durable. The new ball joint design allows firmer tightening and smoother loosening, and tighter grip at each joint makes arm position more secure. * Recycle time (full)*2 : A: 3 sec. Ni-MH: 3 sec. *2 Number of flashes and recycle time of Ni-MH batteries were tested by 2700mAh batteries. *3 The Guide Number 14 in manual mode is limited only to cameras with built-in flashes without pre-flash function. 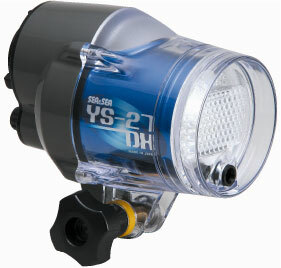 The New YS-27DX strobe is a compact and affordable manual strobe for most digital cameras in the market. *1 Number of flashes and recycle time depend on the battery brand, temperature and frequency of use. * Recycle time (full)*2: A: 2.5 sec. Ni-MH: 1.9 sec. *2 Number of flashes and recycle time of Ni-MH batteries were tested on 2700mAh batteries. The YS-250PRO is designed for demanding professionals, packed with revolutionary new features to meet the challenges of digital photography. * Sync cord: Detachable sync cord (N) for film & digital SLR camera,Fiber-optic cable (L-type) for compact digital camera.